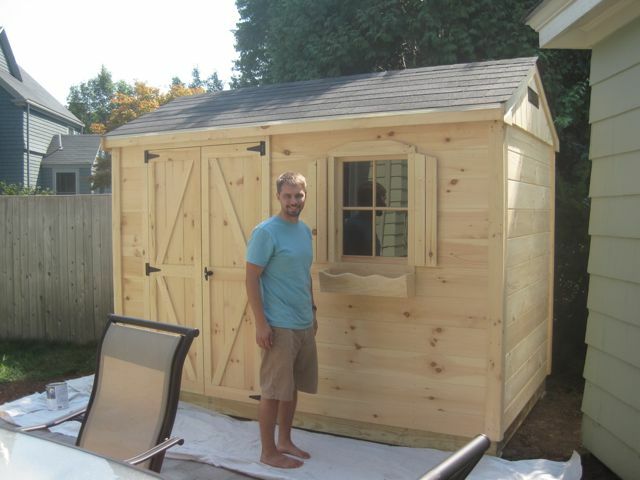 As part of our month of organization, the Sharpteam made the decision to purchase a shed. After looking around at a variety of places, we decided to go with Eastern Sheds purchased from Wolf Hill Garden Center. The Eastern Shed people showed up at 7am and by 8:30am we had a fully built shed just off our patio. 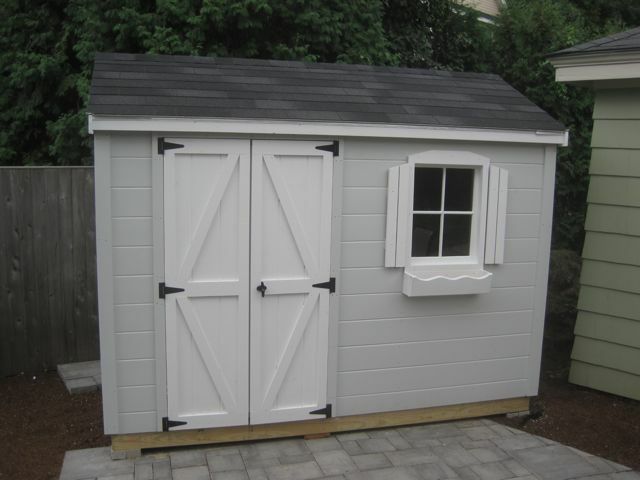 we had a nice new shed to help organize our lawn equipment. I added in a simple shelf to give us additional storage inside. This also freed up space on the ground for our larger items. We added in these great tool clips from the Home Depot to hold our various garden tools. 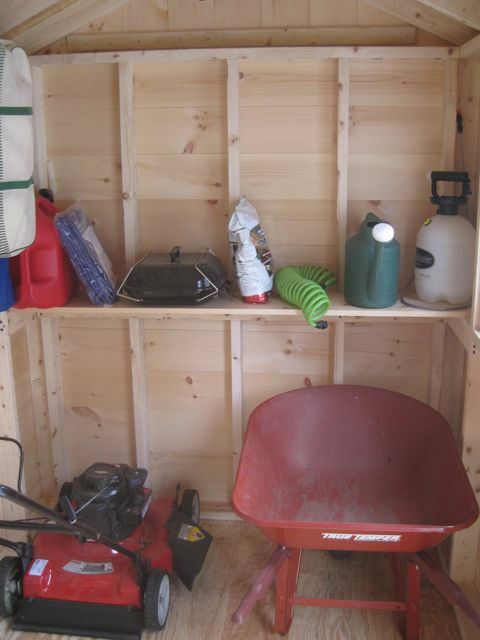 Overall the shed has been a welcome addition to our storage and organization dilemmas. 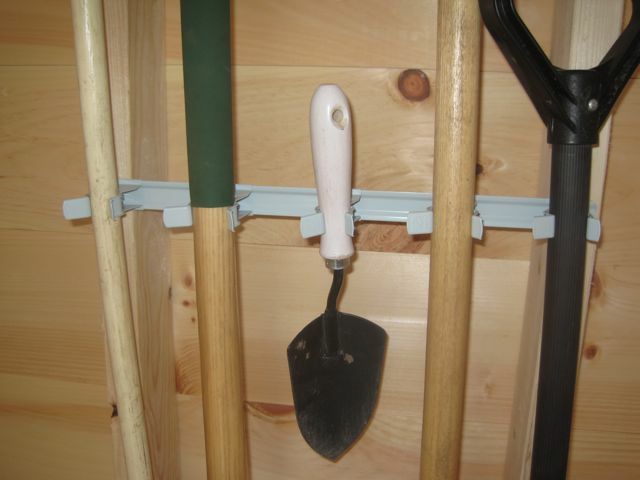 It has helped free up space in our garage and provide easy access to our yard tools. Next week we tackle the garage.